I thought I would give some information about Cades Cove, located near Townsend Tn that is usually not found in any tour booklet or brochure. This comes from living in the Townsend Tennessee area and roaming around in the Great Smokey Mountains for many years. I hope this will help you enjoy your stay a little better in this rugged yet gorgeous country. 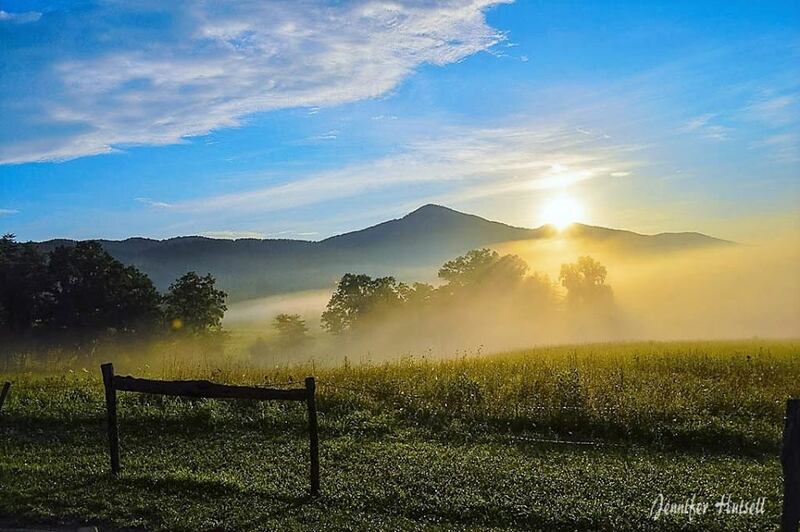 Welcome to Cades Cove Tn, one of the most mystical places in the Great Smoky Mountains National Park (GSMNP). From the thousands of acres of grasslands to 5000 ft. peaks and balds surrounding this beautiful area. The History of early pioneers in the 1800s that settled this land is sure to amaze anyone. Even how this beautiful place was even discovered, and farmed in a time when people were and had to be self-sufficient. Information and a tour guide are available at the ranger’s station & the Cades Cove Campground Store too the left of the entrance to the Cades Cove Loop Road. This will tell you about anything you need to know about the History and the Families of the Cove. I have a tremendous love for the Great Smokies and enjoy getting out in them as much as I can. Cades Cove Tenn is full of wildlife. The whitetailed deer is the most abundant. You may see as many as 220 deer at the right time of year. 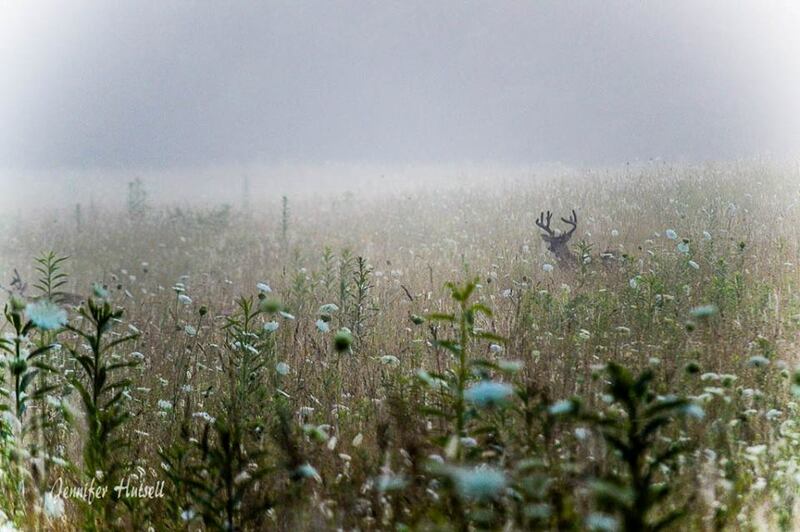 The deer feed most on the grassland’s that the early settlers cleared and farmed in the early and mid 1800’s. The deer also feed on acorns and browse from the wooded areas and surrounding ridge lines that tower above the fields and pastures. 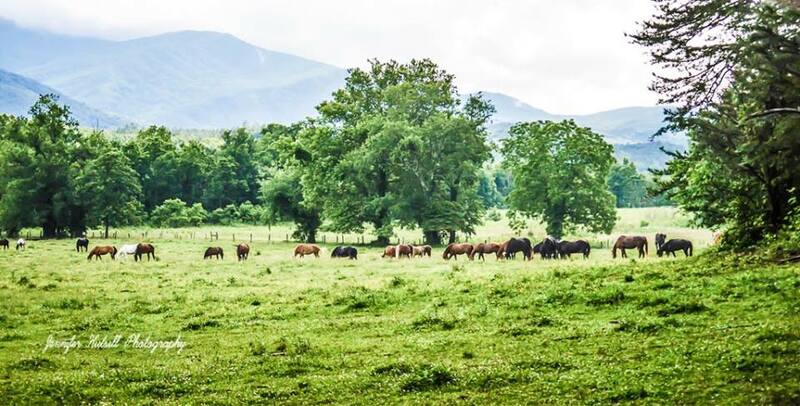 You can view the wildlife by driving the Cades Cove Loop Road. A 11 mile trip that is a must see. For best deer sightings I recommend early morning (sunrise) in the summer months when the heat and the traffic is not so bad. In the winter early morning is good as well as late evening. For seeing whitetail bucks in the summer months you will usually see them in bachelor groups as many as 30 bucks in one group! In the fall the bucks are fighting (October through the first of November) the rut comes in about mid October—November. The Bucks are going crazy! The rut can last well up in December as cold weather sets in. This is a great time to get that photo you have been looking for. Black Bears feeding on wild cherries in the Cove Black Bears are also found in Cades Cove as well throughout the Great Smokies. Summer months are a good opportunity to see a black bear, because the bears are feeding on berries for the winter especially in July, August and September. Blackberries, Wild Cherry’s and Polk Berries are abundant at late summer and are falling in July—September and the bears love them! I think late evenings and early mornings are the best for bear sightings in the summer and early fall. Be prepared when you drive the loop road, traffic can be heavy. 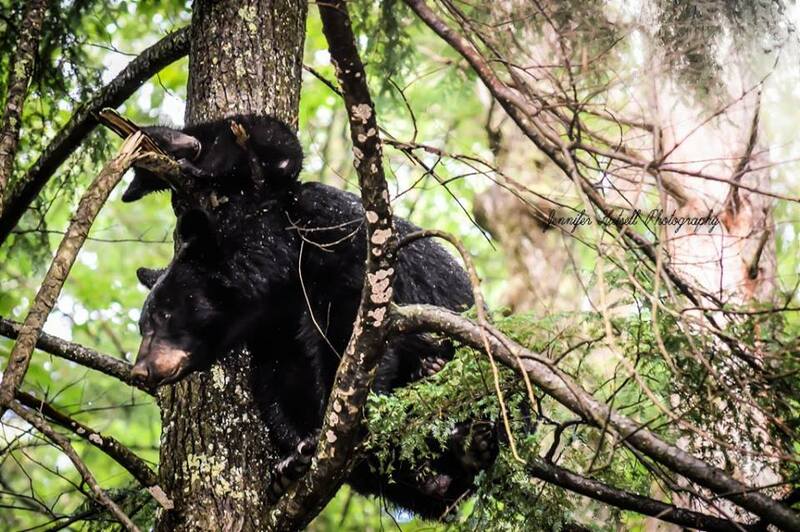 The Black Bears that are found in the Great Smoky Mountains National Park are use to people especially in the Cades Cove area. If you see a Black Bear give it plenty of room, stay clear! Do not try and feed the bear, even if it doesn’t run. It may seem very friendly and other people may try and feed it, but my advice is to leave it alone. If you see a bear with cubs, BEWARE! Or if you see cub by its self stay clear! The mother may be close, or even watching you, so turn and leave it alone (do not run). Several accidents have occurred in the National Park and almost all could have been avoided if the person had just used common sense. Remember, a bear that isn’t afraid of you is the one you have to watch! Cades Cove Tennessee has many other forms of wildlife like wild turkey’s, wild hogs, coyotes, fox, river otters as well as bobcats. The Smokies support a large number of bobcats and most people don’t even know they are around. They are a very elusive animal and do most of their roaming at night. Consider it a very special treat to see a bobcat in the wild or to hear one scream at night. It is something that will probably only happen once in a lifetime! 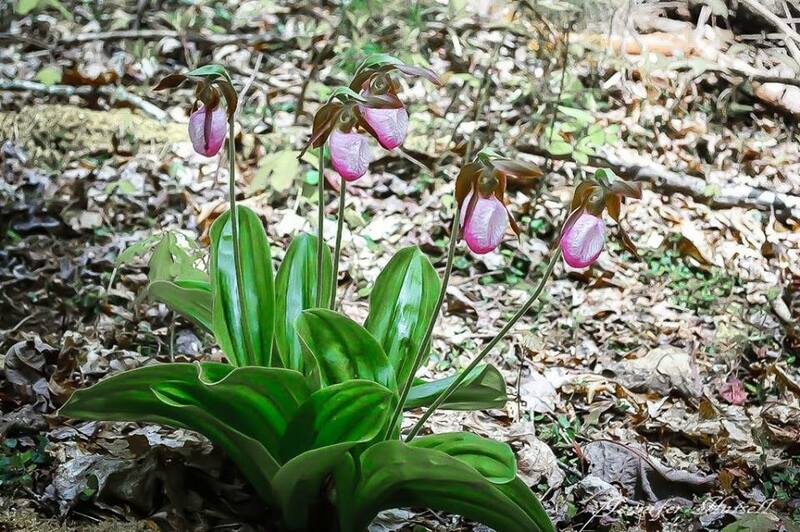 Many forms of wildflowers also are common in the Smoky Mountains. One of the most common is rhododendron and mountain laurel that is present in the Cades Cove area and usually blooms around mid June. I like Boat Mtn. Trail during this time of the year. That is, if you feel like hiking. This trail can be very strenuous to someone who does not hike much and is not in good shape but, is well marked. This is a old railroad bed that went to the Spence Field which is located on the Appalachian Trail and North Carolina line. Boat Mtn. Trail is located on the left side of Laurel Branch road just across from the parking lot for the Schoolhouse Gap Trail. The Rich Mountain Road is another (one way road) great place to see beautiful wild flowers as well as majestic views of the Cades Cove Tn area. It is the first road to the right next to the Missionary Baptist Church after you start in on the Loop Road. The Cades Cove Loop Road is open to bicycles and hikers only on Wednesdays and Saturdays from Sunrise- 10 am from approx. May 1th—the end of September. This is the best way to view the Cove. There is no automobiles or noise of any kind, and you can see so much more. The trip is not for everyone, 11 miles is a long way. But, there are two places to shorten your trip. Hyatt Lane and Sparks Lane will cut your trip short by a ¼–1/2, If you don’t have a bike you can rent one at the Cades Cove Campground Store and bicycle rental too the left of the entrance at Loop Road. 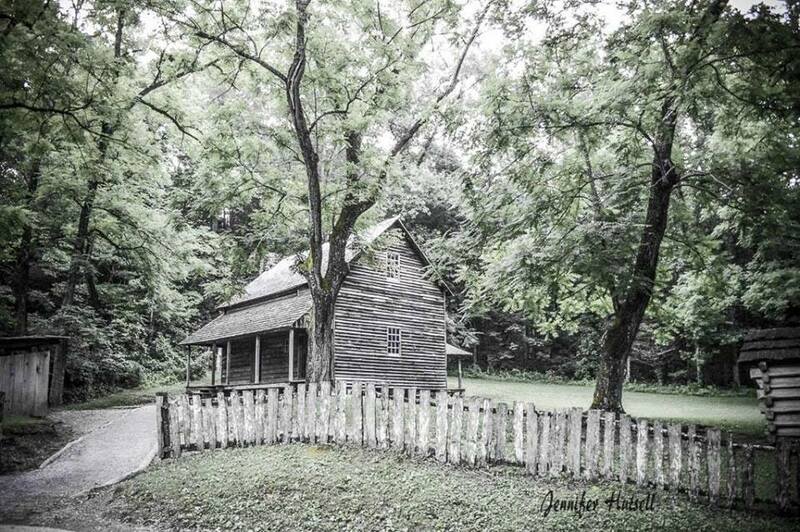 Be sure to stop by my Great, Great Grandfathers settlement (the Tipton Place) on the Loop Road. Whether you are coming to camp, hike or just a family vacation, this area is sure to touch your heart in a special way. 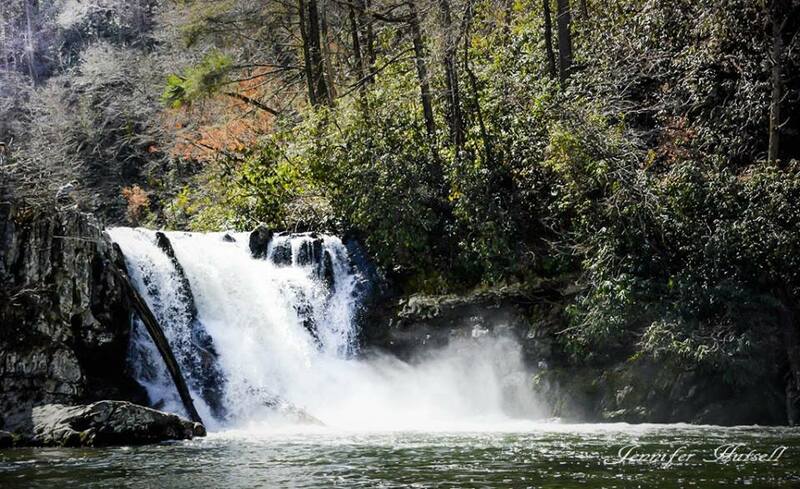 There is so much to see in the Great Smoky Mountains and Cades Cove. The key is, you just have to be willing to take the time to stop, look and listen so you can enjoy what God has created.